For nearly a decade, I’ve been thankful to have known and worked with Nikki Adamo on three different transactions. Each project was unique — ranging from a conventional purchase of a starter home coop apartment in 2012 to an incredibly delicate double transaction in 2015, with one apartment sale serving as an unofficial contingency to a separate purchase. Nikki remained calm, capable, and in control over every last detail, nuance, and surprise. Nikki comfortably lives and works within the unique elements of the NYC real estate market. Her combination of extensive experience, active approach and graceful attitude makes working with her a pleasure. Nikki and I partnered throughout the home buying process in 2017. She helped me find properties & open houses, attended showings, communicated with the selling party and most importantly she was always available to answer my questions and talk through the decision-making process. I knew very little about buying a home, taking out a mortgage and joining a co-op and I would not have been able to navigate any of it without Nikki. I felt comfortable and fully supported during the biggest financial decision of my life. 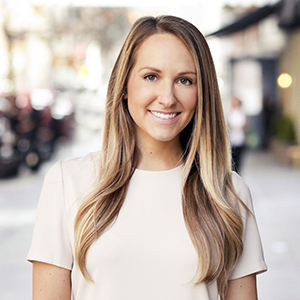 Nikki not only understands NYC & Brooklyn real estate but brings a personal touch to the home buying process. Nikki understands the markets, opportunities and quirks of the many Manhattan neighborhoods and those of the surrounding boroughs. When dealing with the application process and navigating the way through co-op board approval, her knowledge and guidance were invaluable. Nikki is meticulous with the details of the necessary paperwork. Her communication line is quick and clear. That she is a pleasure to be and work with -- is a most welcome bonus. I highly recommend Nikki whether you are looking to buy, rent or sell in the Manhattan area. For more than a decade, Nikki Adamo has been serving the needs of New York City buyers, sellers and renters with a total focus on delivering elite customer service and peerless results. Nikki knows that truly caring about people is critical to real estate success, and her entire approach is rooted in careful listening, relating to her clients' needs, and doing all she can to exceed their expectations. Totally accessible and unfailingly patient, she endeavors to make the process as stress-free and enjoyable as possible too, earning her a loyal clientele and brisk referral business. As a passionate New Yorker and veteran agent, Nikki acts as a skilled navigator throughout the city's enclaves with a particular fondness for Downtown Manhattan and Brownstone Brooklyn. "The energy, history and people of New York City are unlike anything I have experienced anywhere else," she says. "There is truly no other place I'd rather be and nothing I'd rather be doing than helping people find their own perfect New York City homes." Originally from Syracuse, today Nikki resides in quaint Greenwich Village. In her free time, she enjoys exploring, whether that's trying the latest fitness class, testing out new restaurants or travelling to parts unknown.